Can you help our research into the G-25 Supply Depot located at Ashchurch, near Tewkesbury? Martin and Frances Collins are writing a series of books about the US Army Bases in the Midlands of England during World War II. This site contains examples of the pictures and stories you will find in the books. Martin and Frances would love to hear from anybody who was stationed in the region and who has stories or photographs they would like to share. Our new book U.S. Army Hospital Center 804 is now in print. You can order now. 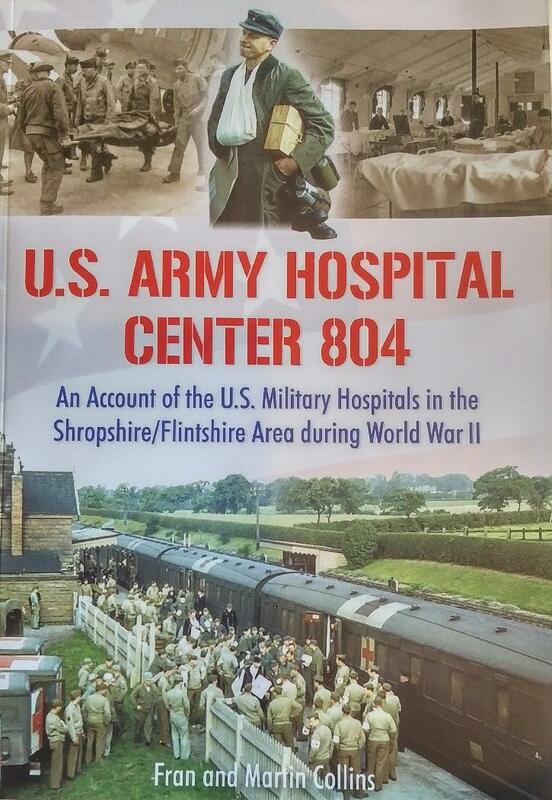 Report on our book U.S. Army Hospital Center 804 in the Shropshire Leader. Can you help our latest research into the G-25 Supply Depot located at Ashchurch, near Tewkesbury? Our book Bridging The Gap is now out. It's about US rehabilitation centres in Warwickshire and Worcestershire. Check out this book by our friend Michael about the 56th and 74th General Hospitals, which were stationed at Tyntesfield, near Bristol. We launched our book The Friendly Invasion of Leominster at Berrington Hall, Herefordshire, where much of it is set. Report on our book Return to Duty in the Malvern Gazette. There's some footage on YouTube of the hospitals in Malvern. Check it out here. U.S. Army Hospital Center 804 Hospital Center 804 was the name of the cluster of five U.S. military hospital sites in the Shropshire/Flintshire area during World War 2. This book covers the day-to-day running of the hospitals, as well as looking at the personal stories of some of the patients and the impact that the American servicemen had on the local area. 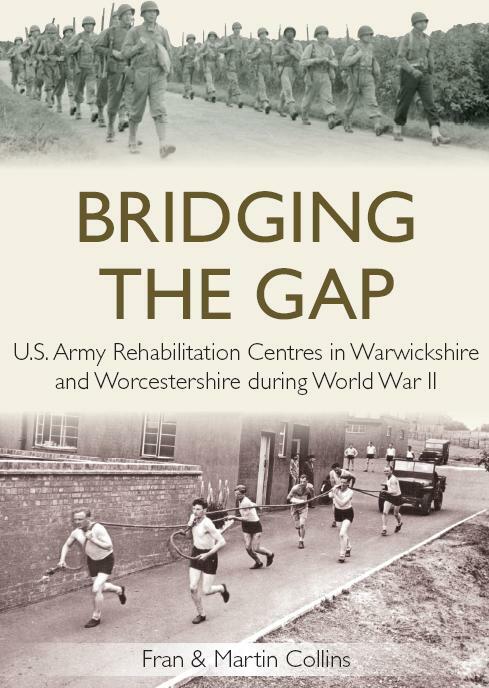 Bridging the Gap is an account of U.S. Army rehabilitation centres in Warwickshire and Worcestershire in England during WW2. The book chronicles the development of the rehabilitation programme in U.S. Army hospitals in the UK during World War 2. It begins by describing the situation whereby the heads of the U.S. military became aware of the benefits of rehabilitation and convalescent work through observing British practice and then describes the establishment of the first ever rehabilitation centre run by the U.S. Army. 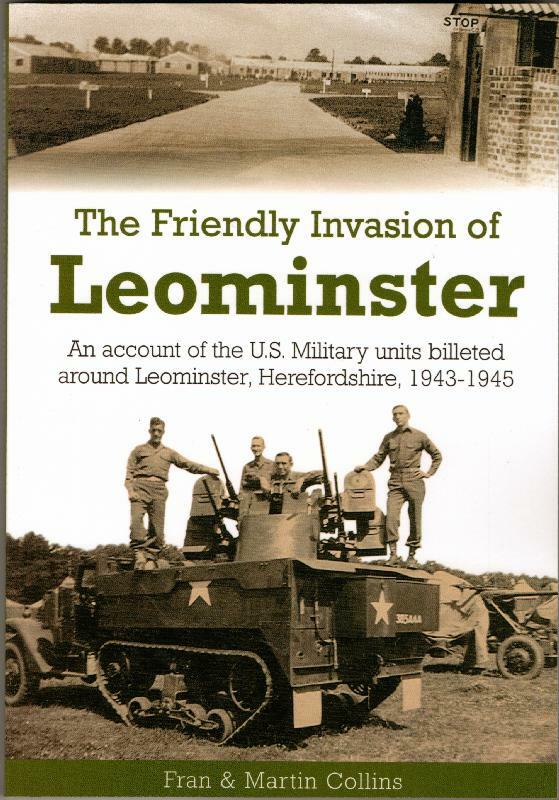 The Friendly Invasion of Leominster relates the story of the U.S. forces based in Leominster during World War 2 while awaiting D.Day. Amongst the units based in Leominster were the 5th Ranger Division and 90th Infantry Division, both of which played a major part in the D-Day landings. Other units such as the 7th Armoured Division and the 736th Field Artillery Battalion were to spend time in Leominster while awaiting relocation to the Continent. Return to Duty tells the story of 3 U.S. Army hospitals at Brickbarns, Merebrook and Wood Farm respectively during World War 2. The book recounts the day to day activities of the three hospitals, the U.S. doctors, nurses and patients who spent time there and their impact on the surrounding area of Malvern, Worcestershire. The book includes a large number of previously unpublished photos of the hospital and personnel who worked there. 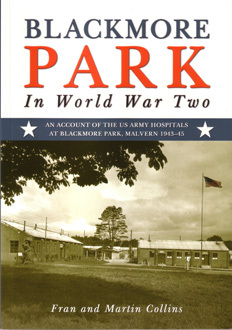 Blackmore Park in World War Two tells the story of the two hospital sites built at Blackmore Park at Malvern in Worcestershire in 1943 and used by American hospital units until September 1945. This book tells of the day to day activities on the base using accounts and previously unpublished photos from those involved. Camp Foxley tells the history of the military camp built in the grounds of Foxley Manor House, Herefordshire, from the outbreak of the Second World War until the late 1960s when it was demolished. During the war the camp saw the arrival and departure of several Canadian and American military units. From 1944 to 1945 two American hospitals based there received casualties from the European Theatre of Operations. This book tells the story of the US Replacement Depot at Pheasey Farms Estate in Great Barr, Birmingham during World War II. 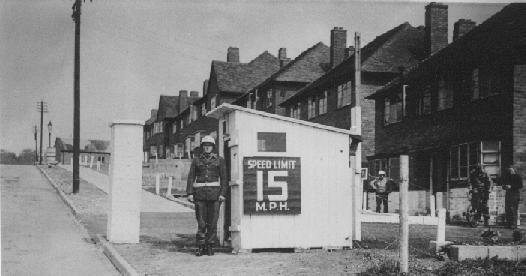 Part of the half-built housing estate was requisitioned by the British forces at the outbreak of the war and in 1942 the first group of American solders moved in. The book is a fascinating insight into the day to day activity on the base, with many moving accounts from those involved, and also deals with the impact that the American soldiers had on the surrounding area of Walsall and Birmingham. "Mail and morale go hand in hand,"
so said Lieutenant Jordan, one of the first American officers to be based at the First Base Post Office in Sutton Coldfield, Warwickshire. He was right, imagine how you feel when the postman drops a letter from a friend through your letterbox and imagine how the American soldiers, based over here in Britain thousands of miles from home, felt when they received a letter from friends or family. The importance of having an efficient mail system should not be underestimated in building up morale and aiding the war effort. Behind these gigantic air assaults lies a story, not spectacular enough for the headlines, but none the less essential - the story of supplies, and what particularly concerns us in this history, signal supplies. The roaring towmotors and bustling GI's weaving in and out of the long rows of stacked crates and boxes accounted for the very creditable shipping figures, all the result of solid work days interrupted only by the one hour a day spent marching up to Guest Keen's Recreation Grounds for a snappy drill session or other training activity.